Among the stones are the Juliet Pink Diamond, an extremely rare pink diamond of over 30 carats, and a Fancy Deep Grayish Bluish Violet named the Argyle Violet from the Argyle mine in Western Australia. 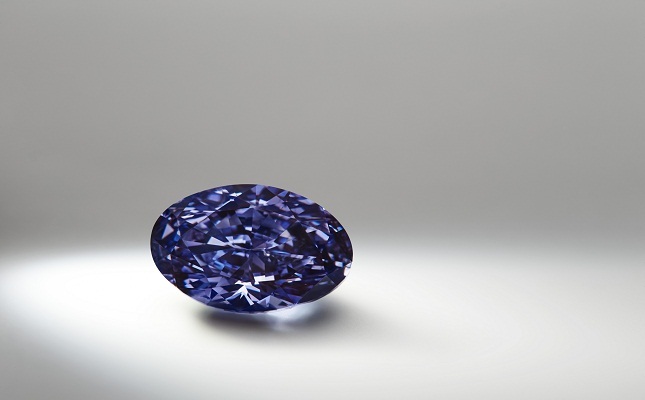 It will also feature a very rare Victorian Orchid Vivid Purple diamond, and the exhibition aims to bring to show the rare properties of colored gemstones, the science behind natural colored diamonds, and how the interplay of light and chemistry gives diamonds color, the museum said. The exhibition, which is organized in partnership with L.J. West Diamonds, opens on December 16and runs through to March 19, 2017. “Throughout history diamonds have been synonymous with love and romance. The Juliet Pink captures this connection with its vibrant, strong pink color that is both alluring and seductive. After understanding the stone’s importance and color we decided to name the stone the Juliet Pink Diamond, as the stone captivates passion and ultimate beauty,” said L.J. West Diamonds vice president Scott West. The Juliet Pink Diamond, which will be set in a necklace with marquise, pear and round-cut white diamonds totaling 98.70 carats for the exhibition, has been designated a Type IIa diamond by the GIA for its remarkable chemical purity and clarity. Natural colored diamonds occur in an estimated one out of every 10,000 gems. Meanwhile, the Argyle Violet is the largest violet stone to be discovered at the Argyle mine. The original rough stone weighed 9.17 carats and had an unusual shape, deep grooves and an uneven surface. After more than 80 hours of cutting and polishing, the diamond polished stone weighs 2.83 carats. The exhibition also features the Rainbow Necklace which is set with more than 100 rare natural color diamonds from a wide color spectrum. The necklace features radiant-cut shape multi-color diamonds with a total weight of 35.93 carats and is set in a custom-made 18K white gold arch necklace. The necklace took more than years to assemble due to the difficulty of collecting diamonds of similar shape and size. Another spectacular stone in the display is the Victorian Orchid Vivid Purple Diamond, an extremely rare gem due to its unique color. The Victorian Orchid is a Fancy Vivid Purple diamond, SI2. The cushion-cut diamond weighs 1.64 carats and is set in a flower designer ring with a matching pair of kite-shape diamonds of 0.42 carats and set in a platinum ring.